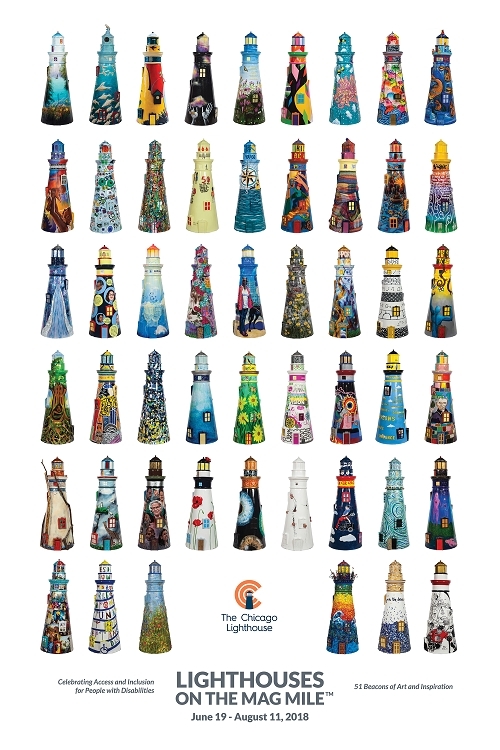 This limited edition, museum quality poster features the 51 lighthouses from The Chicago Lighthouse’s public art display celebrating access and inclusion. 103 artists participated in the public art display, and more than 50 of them have disabilities. This poster is a great addition for your home or office. Posters shipped in a protective mailing tube. Shipping to US and Canada is included.